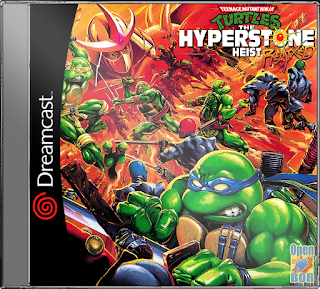 TMNT: The Hyperstone Heist REMIXED is a fangame created by Ripfire based on Kmilloz's TMNT X Battletods using OpenBOR. Actually for now, this game is more like an extension of Teenage Mutant Ninja Turtles (Mugen). The game is still in development and future version will be completely independent from Kmilloz's TMNT X Battletods with exclusive plot, enemies and combat system. Now finally 100% Dreamcast compatible! Be nice if this file was in a format that i could extract. Tried winrar and 7zip and neither will extract it. Read a .cso file is whats used for PSP games. Why on earth would they use that method for a Dreamcast game? OfManNotMachine wrote: Be nice if this file was in a format that i could extract. Tried winrar and 7zip and neither will extract it. It must work on Dreamcast (i tested it on Demul it's work fine). Thanks my man. many thanks!! Looking forward to trying this soon! Hope it plays well. Hey everybody! New to EVERYTHING Dreamcast.